Welcome to Peirsons Tractors Ltd, suppliers of good second hand tractors and telescopic handlers. Founded over 20 years ago we have a long history of supplying used tractors & telescopic handlers to farmers & dealers, at home & exported. We export tractors throughout Europe & some of our export markets have been to the Falkland Islands, USA, Australia & South America. We are Export specialist and transportation & documentation for goods can be arranged in most situations. If you are interested in any of our stock PLEASE just Contact Us. before coming. 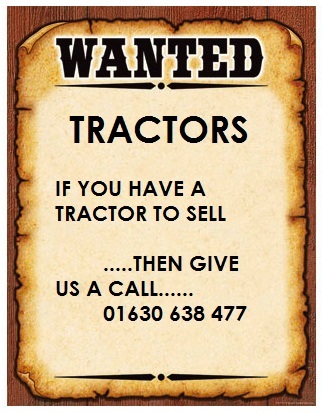 All MAKES & MODELS OF TRACTORS URGENTLY WANTED! Open: Monday - Friday 8.30 am - 4.30 pm. Viewing outside these times is only by appointment.